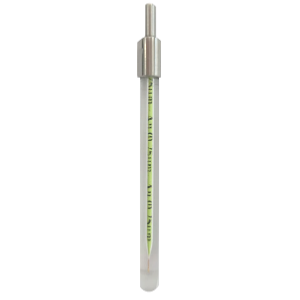 Microelectrodes are made of metallic wires or fibers with a small diameter (10-200 µm) sealed in tempered glass bodies. 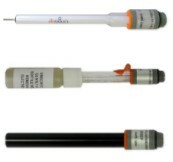 Decreasing the size of the electrode to micron dimensions (microelectrodes) decreases the Ohmic Drop, the capacitance of the electrode (which allows a faster sweep rate to be used for cyclic voltammetry), and changes the diffusion to the surface of the electrode from linear to radial. OrigaLys offers micro-electrodes of Gold (Au), Palladium (Pd), Platinum (Pt), Silver (Ag), Iridium (Ir), Titanium (Ti) and Tungsten (W). We offer among others, micro-electrodes of Gold. You can choose between several diameters (10, 25, 40, 50, 100 and 200 μm). As for the upper and lower diameters, they are identical between the different references : 8 mm. 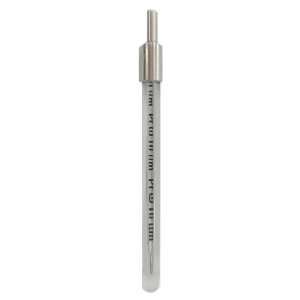 You will also find on our online shop micro-electrodes Platinum different diameters so you can find the product for your needs: 10, 20, 25, 50, 100 and 200 microns. 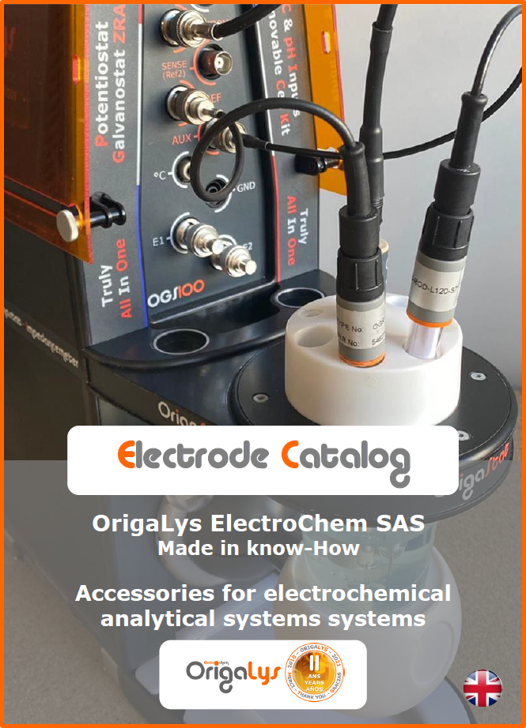 Discover the details of all our reference electrodes below. Microelectrodes Gold, Silver, Platinum, Palladium, Iridium, Titanium and Tungsten, make your choice.